The post Exit 22 Music: “Just As You Are” inspires crowd-pleasing revelry! appeared first on JamSphere. Barely a few months after the release of their previous single, Exit 22 Music and Chris Calamera are back with the new record “Just As You Are”. And it seems like the only rule of the New York City-based project is: there are no rules. They are mixing genres and experimenting with different styles and the result is the unique sound of Exit 22. Whenever the Calamera project drops a new release my expectations are extremely high. The song starts off slow and soulfully, and then loads itself with energy. The female vocals, as always, has never sounded so strong. It is one of the most memorable songs by Exit 22. “Just As You Are” builds into the kind of throbbing, stadium stomping hit that perfectly promos football and is equally radio-friendly without sounding like you’ve heard the song on TV. Of course, this track highlights an enduring component of Exit 22, and an aspect their fans and listeners are looking for: catchy, sentimental, and personal music. Those aspects reflect dominating lyrics and soaring vocals. The band’s strength in composing bombastic and loud songs that are immediate and inspire crowd-pleasing revelry just keep on coming. 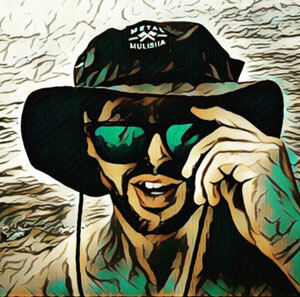 Chris Calamera is confident in his capability and knowledge of pop and rock music, and it shine through like a brightly lit diamond on “Just As You Are”. Exit 22 Music aren’t shy to go beyond the norm of musical composition, to try something new, and it always works out for them. Obviously Exit 22 is still holding to their mantra of going beyond genres, of creating music that is more about the art than the cookie cutter sound that is often associated with pop-rock music. They will no doubt be seeing their stocks rise exponentially in the near future. Not an accomplishment to take lightly, essentially, has cracked the code for the modern music world. All this said, how easy is it for the talented songwriter, Chris Calamera to churn out so many solid records? Well, Chris has a very strong grasp on how pop rock works. The darker underbelly of the song maintains a big drive, while the melody and hooks provide for a genuinely captivating listen. However, regardless of how you look at it, “Just As You Are” is a massive record, in its composition, execution and production. It’s built upon very pure emotions and a pretty clear mission statement. It has a strong conviction and, on top of that, loads of pop appeal. It’s a towering epic. 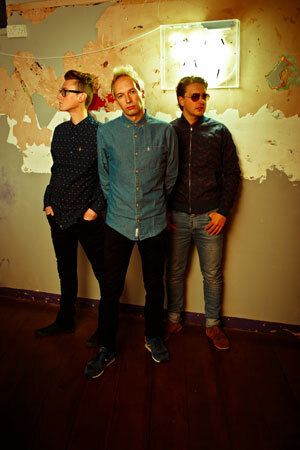 Exit 22 Music are defined by their anthemic vibe and their strong melodic vibes. Their best songs are the ones that truly mean something to the listener, and there is no doubt that “Just As You Are” falls comfortably into that category. All things considered, this might be Exit22’s strongest record ever. However comparing it to past releases from entirely different times and contexts is not what this is about. Each piece of art is supposed to encapsulate a time, feeling, state, thought or some other kind of inspiration, and is representative of the artist at a certain point in their journey. It is supposed to connect with people, to make them feel something about that state of being, and “Just As You Are” is perfectly capable of that. And more than that, it does it brilliantly. 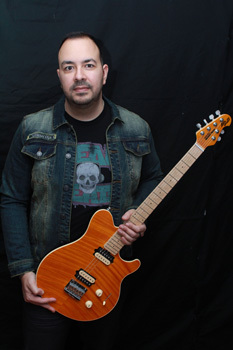 More About: Exit 22 Music is the brainchild of founder Chris Calamera, a talented artist with over 20 years of experience in the music industry. 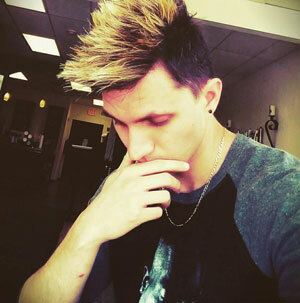 The music production company’s blend of pop, rock and dance beats mark the sonic coordinates of the songs, including recent singles “Break These Chains”, “Lesson Learned”, and “The Magic In You”. Straight out of New York City, Exit 22 Music creates songs that feels eclectic, yet direct and personal, echoing the work of seminal performers the likes of Matchbox Twenty, Kelly Clarkson and the Goo Goo Dolls, just to mention a few. The post Suave_uk returns with new insightful single “Take me back” appeared first on JamSphere. 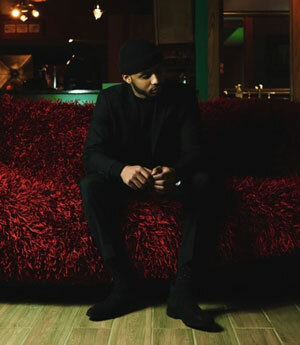 South London UK based urban artist Suave_uk started out performing in choirs at a young age before progressing to local shows during his college years. 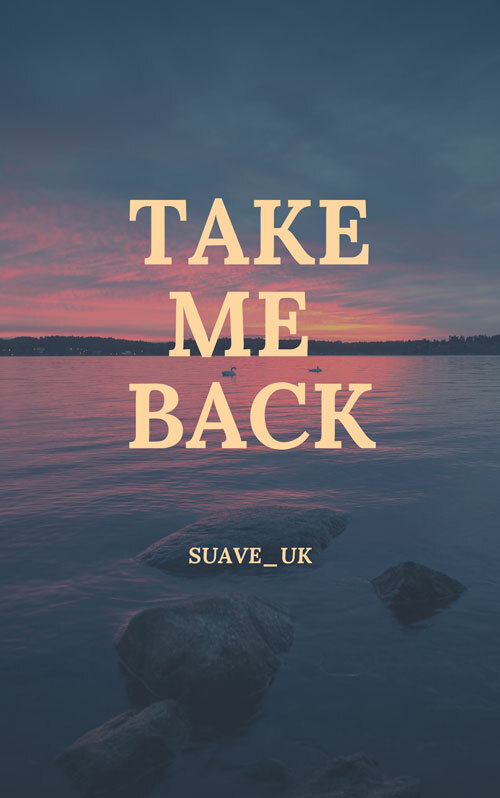 Currently hosting at various clubs and venues across the UK, Suave_uk has released a vast number of singles over the last couple of years, and releases his new insightful single “Take me back”. The post Interview with Cleveland rapper K3 appeared first on JamSphere. The post Experimental electronica from a Greek master of the Theremin – elconEstharoe appeared first on JamSphere. 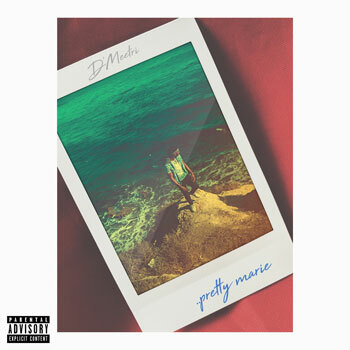 The post R&B singer D’Meetri takes us down memory lane in new visuals for “Pretty Marie” appeared first on JamSphere. The post How To Change The World? 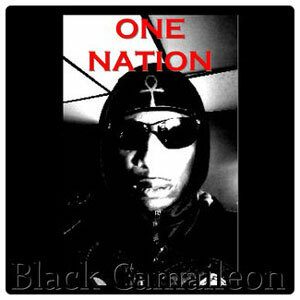 Watch Black Camaileon’s “One Nation” Music Video Here! appeared first on JamSphere. 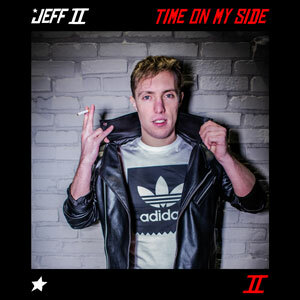 The post LOS ANGELES BASED PRODUCER JEFF II IS BACK WITH A NEW SINGLE! appeared first on JamSphere. The post Grandmaster Cockroach: “Music for Lousy Speakers” – vigorous, visceral, and near-perfect! appeared first on JamSphere. The post INTERVIEW: The John Spignesi Band – Constantly working at their craft appeared first on JamSphere. 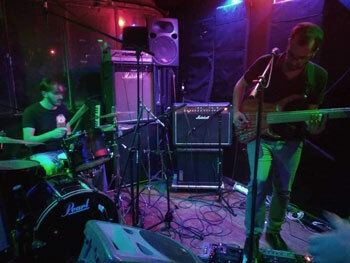 Since their formation in 2015, The John Spignesi Band has steadily toured to build their following and establish their sound in the local jam scene. 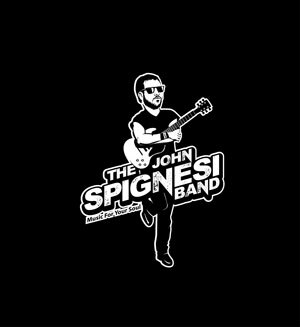 The John Spignesi Band features a line-up of experienced musicians, who know how to dazzle and entertain their audience, not only by way of their impressive technical skills, but also due to the engaging, fun and positive nature of their tone. Blurring the lines of Soul, Rock and Funk, the group shines on stage, as well as in the studio, constantly working at their craft. How and when did the The John Spignesi Band start and who are the members involved? John Spignesi: In the beginning, JSB was a side project to another band I was in. I was playing pretty heavily with the other group and we had decided to take off the winters for some R&R. For me, I like always having something to look forward to and with no gigs on the horizon; I knew I couldn’t go an entire winter without making music. I had been attending the Open Jam at Donovan’s Reef in Branford for about two years at that point and met some really cool local musicians, who I just kind of connected with almost instantly. Matt Alling (Drums) had just moved back to the Shoreline, I had seen Bob LaCroix (Bass) in various projects and Chris Mitchell (Keys) was another local guy who was always on the scene. With my main band taking a break, I recruited these guys and a couple of backing singers, and JSB was formed. In the beginning, we didn’t play that often, and when we did it was usually only local. We also mainly did covers. It’s funny how things change. My other band ended up disbanding, and everything just kind of switched. JSB became a full time gig and we’ve been at it for four years now. If someone has never heard your music, how would you describe your overall sound and style? John Spignesi: We like to mix in a little of everything into our sets. Genres span from a Santana vibe, to reggae, to straight-ahead rock. Since the beginning, we’ve been open to various styles, and more importantly when we improvise the jams are never the same. Sometimes songs will grind down to just ambiance and noise and we’ll transition into something else. We never use setlists. Maybe if there is a special guest or a substitute for the night, but for most shows it is completely off of feel. John Spignesi: Everyone here comes from different backgrounds and has different influences. Matt Alling comes from a very strong prog-rock background, Chris Mitchell was on Dead Tour for years, and Joe Jeffery is about as eclectic as they come! We have a lot of respect for artists such as Little Feat, Max Creek, Turkuaz, and so many more. Mainly its because so many of these artists started off doing the same as what we’re doing now. As a musician, you have to wear so many different hats, it’s like playing the music is the last thing on the list! Running the website, booking, social media promotion, and marketing are just some of the many things you have to do, and we all really enjoy the whole process. Do you remember any of the first instruments you played? John Spignesi: My mother rented a saxophone when I was in Middle School, and man I wish I stuck with it. I’m pretty sure the only reason I played was because all of my friends were doing it. I think the first guitar I got was in 8th grade. My Dad bought it for me off of eBay, and it was some knockoff brand called a “G. Burton.” I can still picture it in my head, the strings buzzed like crazy, and the amp was so small I could pick it up with my pinky. It didn’t matter though. I played that thing non-stop, and probably drove my parents nuts. Where do you do most of your recording and production work? John Spignesi: For JSB, we have recorded both of our studio albums at Ace Tone Productions, LLC in Bethany, CT. Matt Terribile is the owner/sound engineer, and man is he just a pleasure to work with. The thing I really respect about Matt is that he doesn’t give you any less than 100% while he’s in the studio with you. And in turn, he expects the same from you. He has no problem telling you if something needs to be changed. The product is coming out of his studio after all, so he wants it to be as good as possible, which is totally justifiable. He’s also a drummer and a singer, so he has a good set of ears for knowing what sounds good. I really can’t speak highly enough about working with Matt & the Ace Tone Productions crew. A great guy, and a great friend. Studio work and music creation, or performing and interacting with a live audience, which do you prefer doing? John Spignesi: No question, we are a live band, period. We enjoy the studio because after touring so heavily during the year, it’s nice to be able to work out the individual parts and nuances in the studio, but our bread and butter is live, on the stage. As I’ve said, our jams take off in a different direction every night. We could play the same song five nights in a row and it would sound different every time. I don’t think I could play the same thing twice if I tried! Which one of your songs currently gets you excited the most when performing it? And does it have back story? John Spignesi: It definitely changes night to night, but recently it’s been “Tough Guy.” It’s got a little bit of a disco-feel, and I really like the message behind it. Pretty much the back story is that someone had told me (without knowing me that well) that I had no idea what it meant to “struggle.” The term itself is subjective, everyone goes through hard times, and we cannot cast a judgment upon someone just because we think that maybe they haven’t experienced the same things we have. Everyone interprets things differently, which is why it’s important to be conscious of that and respectful. The song is a response to that. Is there anything musically you believe you should have done differently in some way? John Spignesi: For the first album, we did not track the whole thing together. It sounded good, but not the same energy as the second record. This time around, we really wanted it to feel like you walked into a room and there we were, playing for you. John Spignesi: I have never been the type of person to sit down and say, “Okay, I am going to write a song now.” To me, it has always come when I least expect it. Sometimes I will draw upon experiences in my life, things I see or feel, and the words and music just sort of flow out of me. When that happens, it is truly a beautiful thing and I make sure to always have a pen/pad handy! What were your main compositional, performance and production challenges in the beginning of this project and how have they changed over time? John Spignesi: I remember Matt Alling (Drums) pulling me aside during the Donovan’s Reef open mic one night and telling me to “let the notes breathe.” He was totally right. I mean, I was ripping arpeggios over “The Thrill is Gone” like I was Yngwie Malmsteen. For me, listening has changed over time. Sometimes the best thing to play is to nothing at all, and that is tough for a musician! Listening is so important, and knowing where to place your notes, is even more important. John Spignesi: Chris Mitchell (Keys) now plays both piano and organ. That has upgraded our sound tremendously. He also has been known to add harmonica in every now and then. I’m telling you, this guy is a virtuoso to say the least. I have changed my setup over the years too. More recently, I have been trying to play some more slide guitar in our sets, especially after being exposed to Little Feat and Lowell George. John Spignesi: Oh man. I try to stay away from that. I have no problem with expressing my opinion if I am asked, but not in our music. Social Media today has got everyone at each other’s throats, and it honestly makes me sad to see. I think one of the most beautiful things is when people of all different races, genders, etc. can turn off their minds for a few hours and just enjoy the music/art being created. That to me is true entertainment. John Spignesi: As I stated before, you wear so many different hats as an artist. Today, I could release something online and someone in Sweden tomorrow could discover it. It’s amazing how far we come. It can be overwhelming with trying to keep up with all of the different platforms, but I feel like you have to stay sharp and always be ready for the next thing. I am a teacher during the day, and every day I learn something new from the students, just as they do from me. We can all learn from each other. 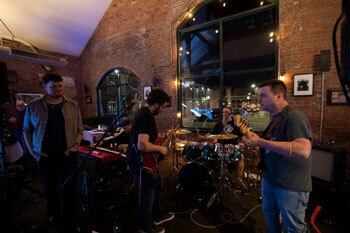 What would you consider a successful, proud or high point in The John Spignesi Band’s endeavors so far? John Spignesi: As I sit here and type this, I am getting ready for our four year celebration as a band tonight. 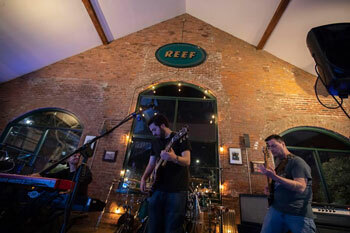 We’re actually playing Donovan’s Reef in Branford, where we had our second gig ever as a band. It’s amazing to be able to walk in those doors and to see the respect and well wishes given to us by fans, family, & friends. I am truly grateful for these opportunities. John Spignesi: You have to be on as many different platforms as possible. Do what it takes to get yourself out there. You are the best one who can represent yourself! What is the best piece of advice regarding the music business that you actually followed so far, and what is the piece advice you didn’t follow, but now know for sure that you should have? John Spignesi: Be original. In the early days, I had seen what others were doing musically and tried to emulate it to an extent, but to be honest, it just comes across as copying. We have drawn from others, sure, but we have molded those drawings into something we can call our own. John Spignesi: As of right now, everything is self-run, but that may change in the future! Who knows. Like I said, we enjoy doing it….for now! John Spignesi: Our new album is entitled, “Beautiful Dream” and it is set to release on May 25, 2019 at Strange Creek Campout in Greenfield, MA! This is our best work yet. You’ll be able to find it on iTunes, Spotify, and any other major music platform. We’re super proud of the end result, and we think you will be too. Do you have a specific musical vision or goal set in your mind for The John Spignesi Band to reach or achieve? John Spignesi: Our goal has always been to reach that “next-level,” whatever it may be. The next level could be that big show, or the next album. We’re always looking upwards and onwards. Staying stagnant is not an option. The post INTERVIEW: Gregg James is ready to release his debut single “Half Of Me” appeared first on JamSphere. The post ‘Piece of Mind’ is a release by Indie Butterflies Dream, a new rock band with 90’ sound and influences appeared first on JamSphere. The new track ‘Piece of Mind’ is the second release from the band’s upcoming self-titled debut album ‘Indie Butterflies Dream’. The first single titled ‘Seven’ is a rock style themed ballad, while the latest track, ‘Piece of mind’, forges strong 90’s alternative vibes. 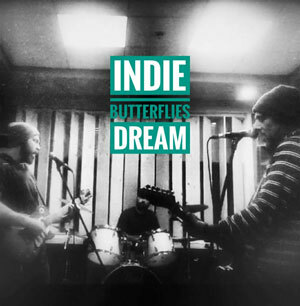 Indie Butterflies Dream is definitely band worth checking out. First single ‘Seven’ released on December 2018. 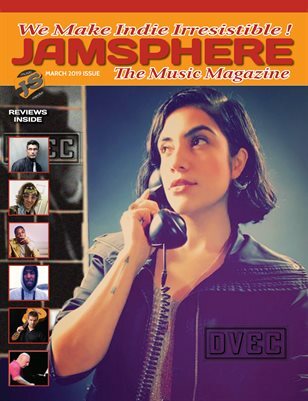 The post Jamsphere Indie Music Magazine March 2019 appeared first on JamSphere. The post Interview with Kids On Bridges who drop their new single “Weapon Of Choice” appeared first on JamSphere. 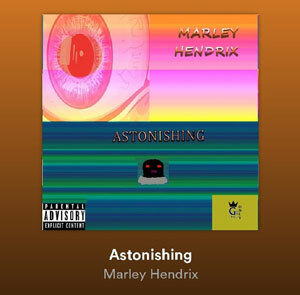 The post Marley Hendrix Drops His Third Single “Astonishing” appeared first on JamSphere. Marley Hendrix (better known as Terry Gibson or Riley G) is a hip-hop artist born and raised in the Golden Triangle Area of North Mississippi. Being around music at a young age, having a grandfather that played the piano, as well as the majority of the women in his family were choir voices (his uncle Bobby Crawford worked with Keith Sweat unbeknown to Marley till years later). Influenced by greats such as Al Green, Johnny Taylor, Bob Marley and Jimi Hendrix, to more modern acts like Tupac Shakur, UGK, Outkast, and Snoop Dogg (Snoop actually being a childhood nickname dubbed to him by his uncle for the way he recited his verses so well). Marley would often sneak out after bedtime to partake in the freestyle cyphers with his older cousins. He would go on to write and record his first song at 13 showing early promise as a lyricist however having an unorthodox but melodic delivery. Relocating to the 757 area on the East coast he would go on to write and release his 1st single Hopeless Romance in 2018 under his own independent label alongside co-creators Gladney King, and Uncle Blu. Receiving warm reception on the underground hop scene for his unique sound, southern accent, and lyrical focus, his music has been described as having a surprisingly West Coast vibe with subtle brashness. His 2nd single H3ll Yeah, released on New Year’s Day, is a provocative club banger with an interesting plot that Marley sets up nicely with his lyrical approach. 2019 looks to have some great things in store for this artist also adding acting to his repertoire after acing an audition for well-known director Jeff Sievers and company, Marley is currently in talks with a talent agency to perfect and push his new found talent. 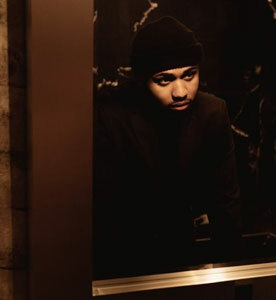 Recently dropping his 3rd single Astonishing, in March, it seems to be as the title says, with Marley unleashing a barrage of word play and metaphorical punchlines. With the About Time mixtape in works set to drop in May, and having his EP Vision set to be released on July 9th, his birthday, look out for this new artist on the horizon. If you would like to join his wave all music is available on all platforms. The post 10 Best Rappers of All Time appeared first on JamSphere. The post 5 Tips to Maintain Vinyl Records appeared first on JamSphere. Vinyl is obsession for many, and the sweet sound that it produces is incomparable. Gramophone and vinyl records are classic, and we all know one thing about classy things, they are high maintenance, those who own records know it very well. So, if you have been recently fascinated by them and want to start owning these ‘handle with care babies’ then here are some important steps to take care of them like a pro. Even if you are an experienced person, learning some new steps will definitely be beneficial, right? So, read on. Properly storing your vinyl records is one of the most important factors to increase its lifespan. It’s not rocket science, just a few easy things to keep in mind, never store vinyl records horizontally one on top other because it damages the grooves, keep it vertically and that too not very tightly, there should be enough space. Always keep records in their sleeves and you can even use an extra outer sleeve for further protection. Being extra cautious is always rewarding. Even if you don’t use your records that often, make sure that you take time out every now and then to do a thorough cleaning of all of them. To clean your records, use a brush to remove dust or get a carbon fiber brush to get the job done nicely. You can use cleaning fluids as well, you’ll get lots of options online. If you have a huge or priceless collection that you want to safeguard for a long time, then invest in a record washer or record vacuum cleaner. You’ll get all of those and much more at vinyl vintage. Whenever you want to make use of your prized possession, be cautious. Handle the records carefully, touch only the edge and inner label, keep your hand steady while cueing and manually putting the needle on the record. When you have to remove the needle, keep patience and first make sure that the record has stopped spinning, then carefully remove the needle. All these measures will ensure that there are no scratches on the records. After using the record brush, it nicely and put back in its sleeve. There are so many factors that can cause damage to your records. While proper storage, handling and cleaning will keep a lot of possible damages at bay, there are a few other factors that you have to take care of. You should keep the records away from extreme humidity as it can cause fungus to grow on the records and damage it. Also your record storage area should be away from direct sunlight and extreme heat as there is a risk of the records getting warped. Choose a dry, cold place away from sunlight. Manual turntable needs extra care while handling as it has the stylus that you have to place and lift whenever you decide to enjoy a soulful session. Always be gentle while dealing with the stylus. Remember, never to move or shake the turntable while playing a record, that is sure to give scratches and therefore degrading the sound. If you are not good at handling the stylus and end up damaging a lot of records, then switch to an automatic turntable. It will give you the same result and will keep your records safe! Keeping and maintaining vinyl records can be difficult and tiring but if you love it, then it’s worth it. Don’t compromise on its maintenance. Learn to blend some smart work with the hard work following these easy steps and you can be rest assured that your valued possession is getting the care that it should. Let the music play! 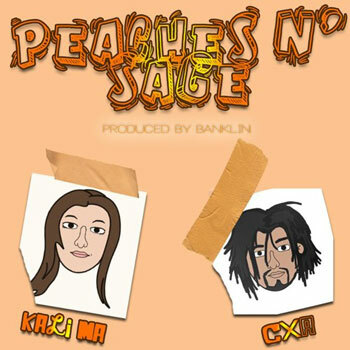 The post Kali Ma & Cypher the Avatar – CxA – ‘Peaches n’ Sage’ is something really gorgeous! appeared first on JamSphere. If you ask the duo of Kali Ma & Cypher the Avatar, better known as CxA what the goal of their music was, their reply would probably be, it’s to make a place where all listeners can come to feel safe and relieved from their pain, anxieties, and all other stresses in life. Because that’s exactly what their Cloud Rap single, ‘Peaches n’ Sage’ sounds like. 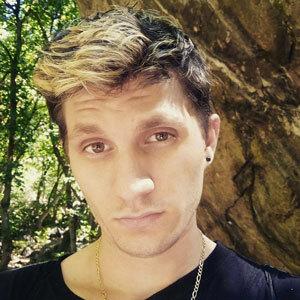 Cypher the Avatar is one of the best alternative rappers mainly because of his presence. He’s confident but not cocky; honest but not vulgar. 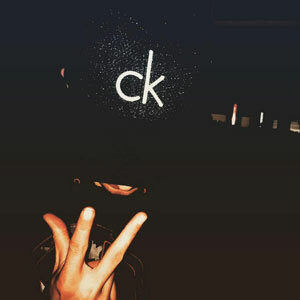 Cypher comes across as someone who is genuine and sure of himself, and his raps reflect that. His vocal style can be appreciated by anyone who likes mainstream rap, but his music still has that spacey sound that cloud rap is known for. If you’ve been living under a rock and still have never heard of cloud rap before, it just might be your new favorite subgenre of hip hop. To give you a hint, if you know what sad boi rappers are, you already know half of what you need to know about cloud rap. Musically, the genre is marked by spacey, hazy sounds, lo-fi sound quality, and a retro Myspace kind of vibe. ‘Peaches n’ Sage’ is an eclectic track that combines the haze of 808s, trap percussion, and even some nocturnal R&B and electro-chill. Kali Ma & Cypher the Avatar brings to the table the epitome of this niche that’s been under so much scrutiny recently. And, to be honest, they do a great job of exemplifying all of the redeeming qualities of it. The aforementioned production value not only is on point, sprinkled with layer upon layer of spacey pads, and melodic bells, but blends into something really gorgeous. A hypnotic and fitting foundation for Kali Ma to lay down her airy and ethereal vocals. In a scene where rap with a strong melodic side is primarily embraced, Kali Ma’s voice provides an essential element to this song. Cypher the Avatar vocal style is very contained and unassuming on ‘Peaches n’ Sage’, but that’s not a bad thing. 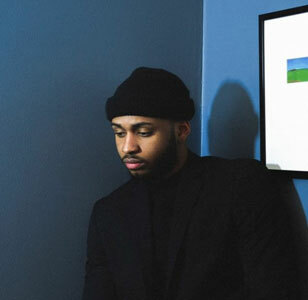 It’s this laid back style that makes him one of the better sounding cloud rappers right now, although he’s been around in alternative rap for a while. His delivery is very matter-of-fact, almost like he’s talking. He is very sincere and he doesn’t rely on pure bravado like other rappers do. His lyrics are also deeply personal and, well, melancholic in this case. While lyricism clearly isn’t a focal point on a track like ‘Peaches n’ Sage’, there are still hints of greatness in some of Cypher’s rhymes. He has always had a knack for constructing music in which nearly everything he says is quotable. 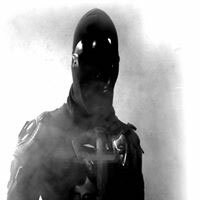 Cypher the Avatar is a technically impressive rapper when he wants to be – running through his catalog, you’ll notice that his modus operandi calls for a variety of flow schemes, hooks, and ad libs. Instead here, the vocal haze needs to stands out well, which is what a true cloud rap song should accomplish. That being said, this is yet another overall solid display of what Cypher the Avatar is, and can bring to the table. Peaches n’ Sage’ Produced by Banklin is the first official track between Kali Ma & CxA, and intends setting the stage for their upcoming projects. The post “Cheat Code” by VerseBorn ft. Menhir – an uninterrupted stream of consciousness! appeared first on JamSphere. “Cheat Code” by VerseBorn ft. Menhir is a mostly uninterrupted stream of consciousness. Breaks in the story only occur when one the language switches from English to Italian and back, and when the plot ends and another begins. To call this track unique would be inadequate. The storyline is extremely complex, with recurring motifs. It’s hard to follow, but that’s the point. VerseBorn and Menhir want your undivided attention for the track’s entirety. Straight off the cuff, the listener is thrust right into the action. In true artistic fashion, interconnecting storylines are articulated through interconnecting verses. But even when they aren’t, both VerseBorn and Menhir comes correct lyrically. The core theme is on socio-political and authoritarian issues that plague our society, as the artists ram their convictions home. Most rappers follow a simple-yet-disappointing trajectory. Their breakout project is full of honest musings that capture the ears and souls of the youth — only to release hollow follow-up offerings. VerseBorn is an exception, though. Every single track he has released, always applies the same initial intent- to deliver good music and leave a message that resonates and educates listeners. “Cheat Code” ft. Menhir, is no exception, and even if you cannot understand the Italian language verses, the tones of voice will be enough to set you emotions in motion. It’s a solid single with mass appeal that still maintains artistic integrity. VerseBorn and Menhir dive into the dual emotions of disgust and outward contempt. That they’re able to harness such complexity into a catchy package stamps them out as artists with eclectic crossover potential and imbues “Cheat Code” with a sense of focus and skill. Verseborn brings an understated melodic tone, while Menhir drives the track with aggressive, guttural power. The contrasts play off each other perfectly for a dynamic track that will please many ears, either side of the ocean. In today’s universe of millions of swagger stylists, where suburban pop and niche mumble markets abound everywhere, Verseborn sets himself apart – by the music he makes, the lyrics he writes, and the company he keeps. Italian rappers Menhir – comprising the voices of Momak and Kingaiè – represent top notch company, in any language you care to translate their verses. Technically on point, and artistically conscious they present the perfect foil to Verseborn’s carefully weighted delivery. Moreover, he is able to utilize the controlled chaos of Menhir over the persistent score that has an increased potency with each deeper listen. Each set of verses is a conversation with all its dynamic pitch fluctuations, emotional outbursts and countless techniques that vary from emcee to emcee, blending into an articulated menace against those who constantly operate their abuse of power. The intelligent rhymes takes you back to a time when hip hop was at its most authentic. “Cheat Code” by VerseBorn ft. Menhir is a track that demands a huge amount of respect for obvious reasons. 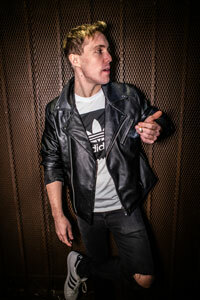 MORE ABOUT VERSEBORN: VerseBorn is an American artist hailing from San Francisco, California. He has amassed a worldwide following and is a member of the KonQuest Now artist collective. VerseBorn was raised on Wu-Tang and Souls of Mischief and was able to carve out a pallet similar to Planet Asia and Talib Kweli as a younger mc. While drawing upon inspiration from RZA, Apollo Brown and J Dilla, VerseBorn began producing beats and instrumentals, many of which have been placed in film, commercials and sporting broadcasts. 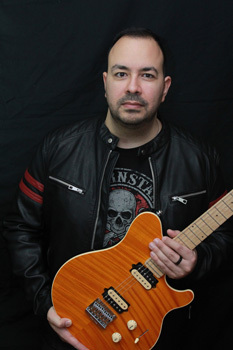 VerseBorn’s song-writing and production credits include artists from Universal Music Group, Def Jam Recordings, E-One and more. MORE ABOUT MENHIR: The Menhirs, with the voices of Momak and Kingaiè (also known as Kappa), were born in 1997 from the merger of the two historical hip hop groups from Nuoro: the W.A.R. and the S.M.P. active between the late 1980s and the early 1990s. The Menhirs are initially formed as breakers. The first examples of this artistic expression date back to 1982. They have since had numerous releases while impacting the Italian scene. 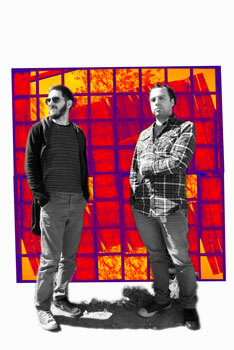 Along the way they have never forgotten their Sardinian roots which is constantly infused into their music. The post New Songs to Confront Rising Tide of Hatred by Rev Peter Unger appeared first on JamSphere.